I am in the final stretch of the $100 Room Challenge, but I am almost out of money! What do I have left to do? I need to finish painting a couple pieces and then add some decor to the space. I want to actually decorate it so the space feels warm and cozy and complete. But since I am having to get really creative with my decor, I thought I would share some ideas that I have for How to Decorate with No Money. So nothing is actually totally free (oh how I wish it was). But all these ideas can be done for less than the cost of a latte or by using the things that are commonly found in people’s homes (such as a printer or hot glue gun). Really, it’s all about being creative and looking in your space. I love going to the decor stores as much as anyone. I could spend hours wandering and finding loads of beautiful pieces. But that is just not in my budget (for this room or the rest of my home either). 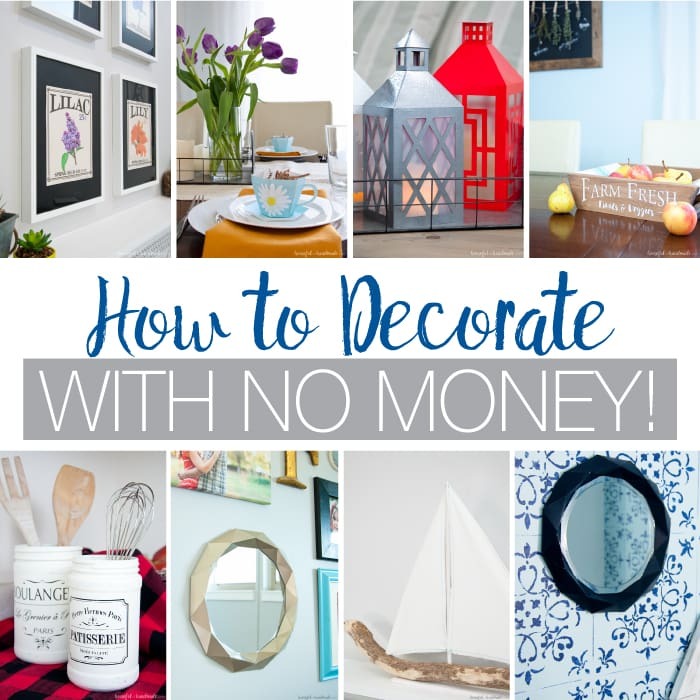 Since I am always being budget conscious when it comes to decorating our home, I am excited to share these DIY ideas for how to decorate with no money so you can add a little style to your home too. You all know I am a sucker for printables. I love creating them and sharing them with you. 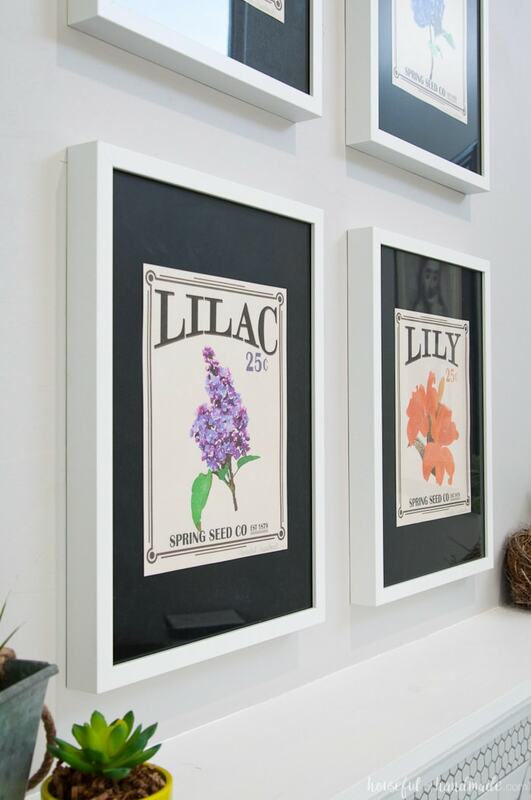 My entire spring mantel was decorated around these free vintage seed packet printables I shared. I did use $6 Ikea frames to frame them, but you can also get a ton of $1 or even $0.50 frames from the thrift store that can be transformed with a $3 can of spray paint. The internet is a hive of wonderful printables for any room and any decor style. You can find a lot for free, or check sites like Etsy for inexpensive print-at-home options. I have my eyes set on this print for my office & craft room. Just praying I end up with $5 left in my budget! This is one that most people don’t know about, but I am obsessed! It really is amazing what you can create out of paper, including home decor. 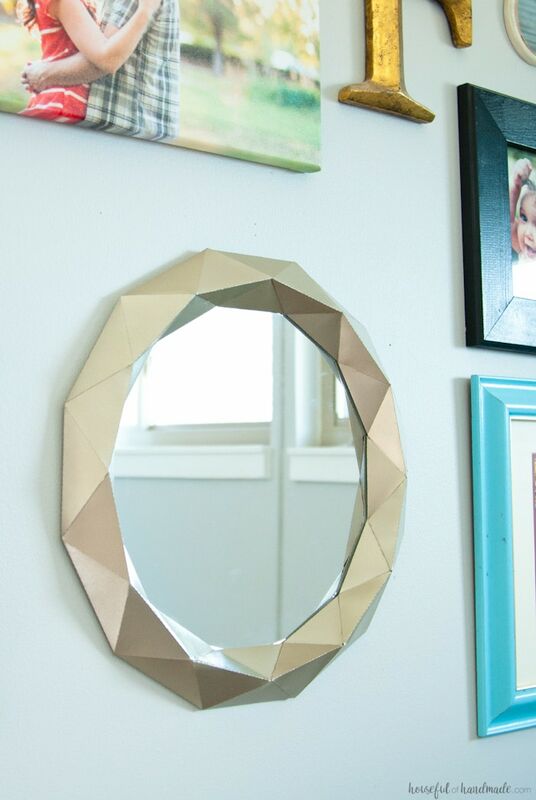 It all started for me when I created this Anthropologie knock off mirror out of paper and then hot glued it to an inexpensive mirror. 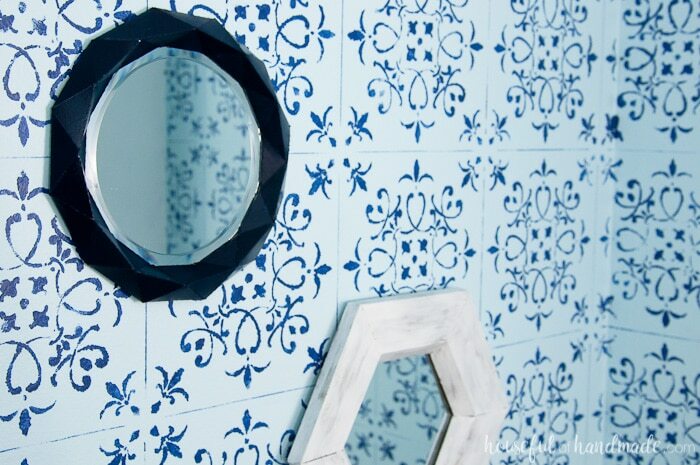 The original mirror actually cost me $10 because I had to buy the 12″ mirror and the paint. But I recreated it on a smaller scale to fit a dollar store mirror. It took me only 1 sheet of 12×12 paper, a stick of hot glue, and a couple sprays of paint. I used paint that I had left-over from another project so this mirror only cost me only $1. I even did a tutorial that I shared at Silhouette School on how to properly resize 3D designs. Now you can make any design fit your decor needs. And because I loved it my little navy Anthropologie knock off mirror so much, I made another mirror to hang next to it. Again, the entire frame is made out of paper. This time I dry brushed left over white paint on it for a worn, rustic painted look. Hopefully I will be sharing this design and tutorial soon! But paper decor is not limited to mirrors. I have created faux wood snowflakes, farmhouse lantern, faux metal signs and more. And when people come over, they have no clue these things were made out of paper. It’s so fun to see their faces when they touch a piece and realize my tricks. I will be the first to admit I do not utilize the dollar store as much as I should. But there are a lot of options there when it come to decor. They have a selection of faux flowers and succulents that are great for using in projects like wreaths and centerpieces. 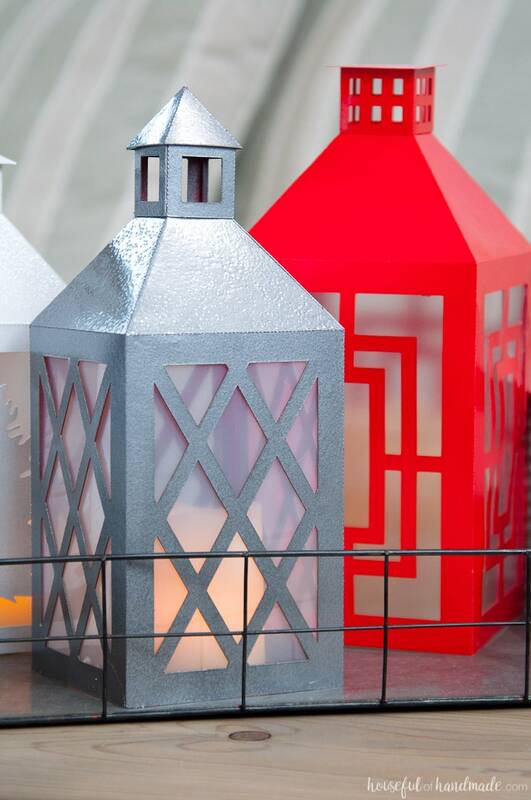 Then there are the glass votives and vases, mirrors and picture frames, and don’t forget the seasonal decor! 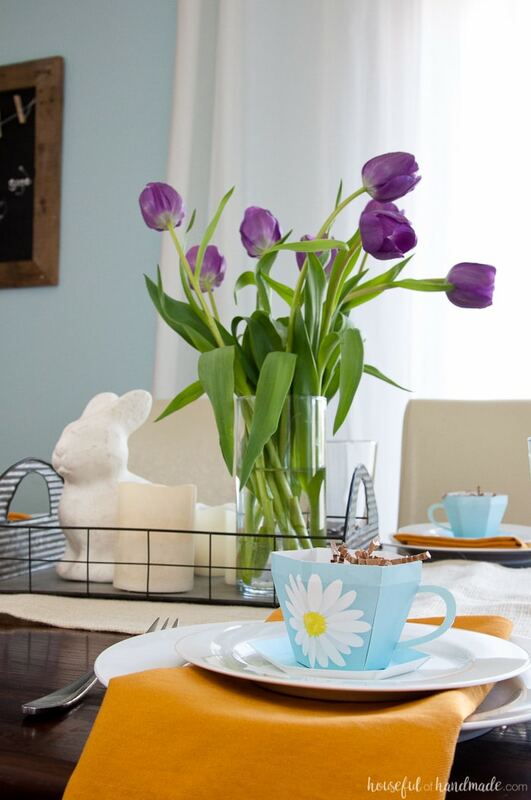 I used one of their vases in my spring tablescape (along with a bunny from the Target Dollar Spot and paper teacups). And let’s not forget to talk about their bins. The dollar store is a great place to buy bins for storage. 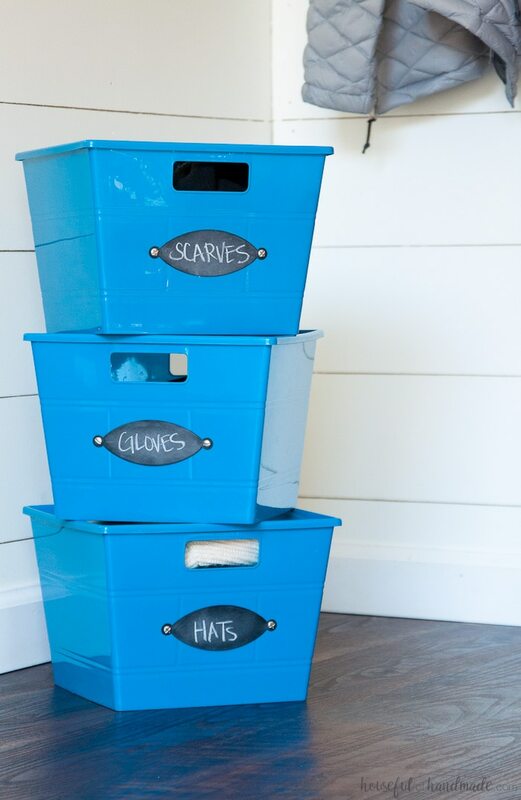 If the colors work you can easily use them to organize and add style to a space like I did for these bins in our entryway. 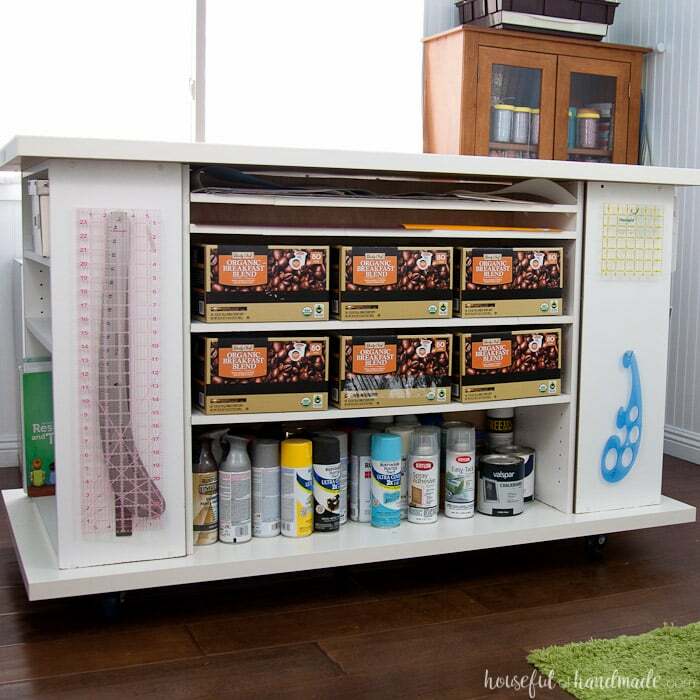 But with a little paint or creativity, you can also transform those cheap bins into something that looks super expensive. With the convince of a nice camera on your phone, you have the ability to create art wherever you go. Some of my favorite pictures were taken on family outings, not of the family but of where we were. Think landscapes, cool buildings, wild life, and even textures. One of the pictures we have hanging in our living room gallery wall is of tulips taken during the local Tulip Festival, another is of me and my husband picking peaches at his grandparents house. And one of the pictures in our basement is of a seahorse at the local aquarium. You can print your favorite photos for less than a dollar or two (depending on the size) at your local big box store. Then frame it with a thrift store frame, one you have on hand, or even glue it to a scrap of wood! The possibilities are endless. Okay, I promis I am not off my rocker here. Sometimes we throw things away just because they are no longer needed for their original purpose, but that doesn’t mean they cannot be used for decor. Take these old peanut butter jars for instance. They were transformed into beautiful kitchen decor. You can also transform old glass jars into decorative storage like my friend Jenny did. Also, consider the number of cardboard boxes that you toss out every month? I know our number can get pretty high. I transformed some boxes into storage for our coffee station last year (however the fabric was a bit more than the latte) and I am working on transforming all these coffee boxes for just a few dollars for this month’s challenge, stay tuned! Bringing nature indoors is a huge decorating trend right now. Of course you could go to the decor stores and spend money of bags of pinecones, driftwood, or sticks. But you can also spend a beautiful day outdoors and gather it up yourself! Then turn it into the perfect decor for your home. 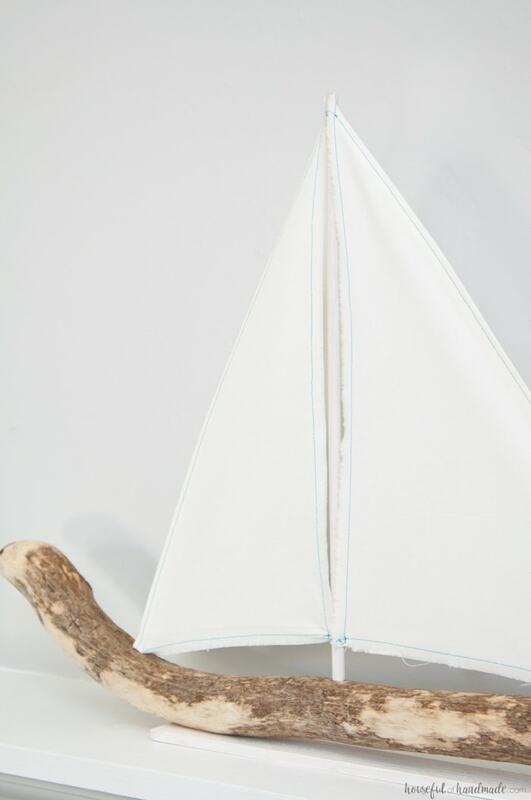 Fill vases with pinecones, create displays with sticks (or turn them into faux cotton stems like my friend Rachel did), turn driftwood into a sailboat. These are just a few ideas of the many things you can do with found objects. This is my favorite way of creating beautiful home decor. I love using scraps of wood or fabric to create something beautiful. 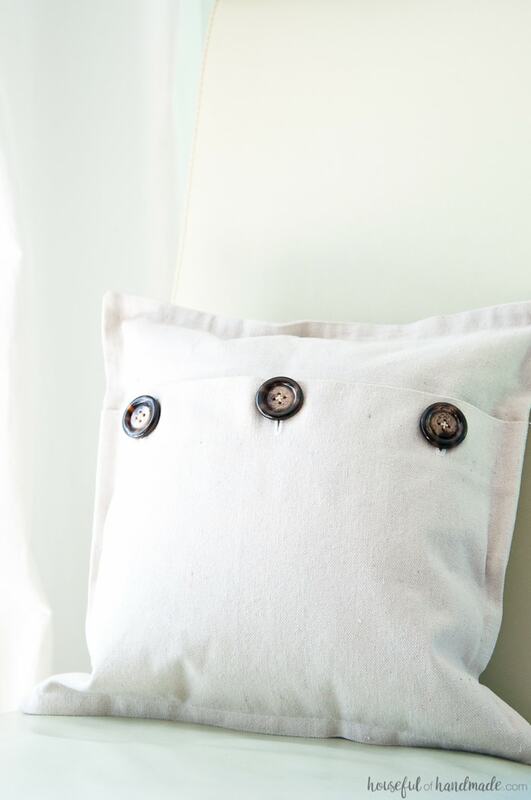 Pillow covers are easy to make and only require a little bit of fabric. You may have enough left over from another project to make a new pillow. Also, check thrift stores for fabric. I have found some great options there for under $1. And if you do any woodworking, you probably have a decent stash of scrap wood. I know I never throw anything out! 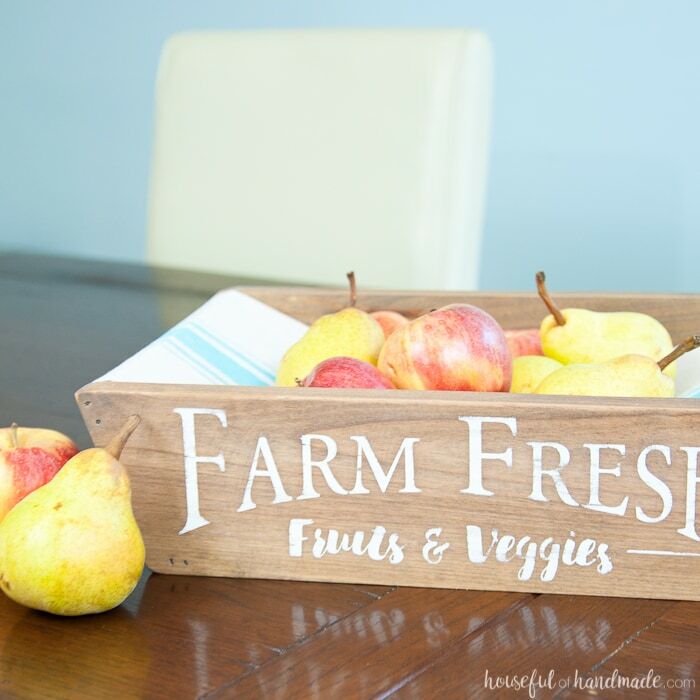 I made this fun produce basket completely out of scrap wood and a scrap of drop cloth. It’s a statement piece for our kitchen and dining room. So take a look at what you have and see what it could become. 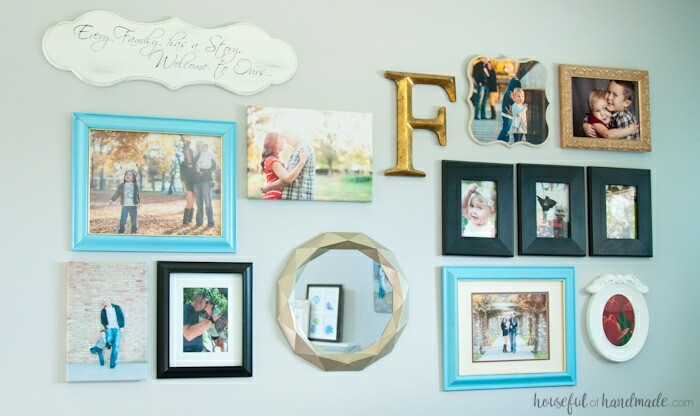 This is one of the best ideas for creating the perfect display. See what items you have in another room that could be used. Now some people think this means you only have one beautiful room if you do this. But you can just look around at what you have and maybe changing up vignettes or rooms will make everything flow a bit better. If not, you can easily put it back! I hope I have inspired you to get creative when it comes to your decor. You really can do a lot with very little or no money. Now I just need to figure out how I am going to finish up the office & craft room makeover. Oh My goodness!!! I just found your blog by doing a search on Pinterest and I am so hooked!!! I love your ideas! You are so very talented!! I’m binge watching your videos!! Lol.. Thank you for sharing your ideas!! Great idea for a post! Love all your ideas. That gold mirror is one of my favs! Pinned. Thank you for sharing on Merry Monday! Have a great week! Thanks Kim. That mirror is one of my favs too!